Luggage for adventurous travelers needs to be light, durable, and versatile. 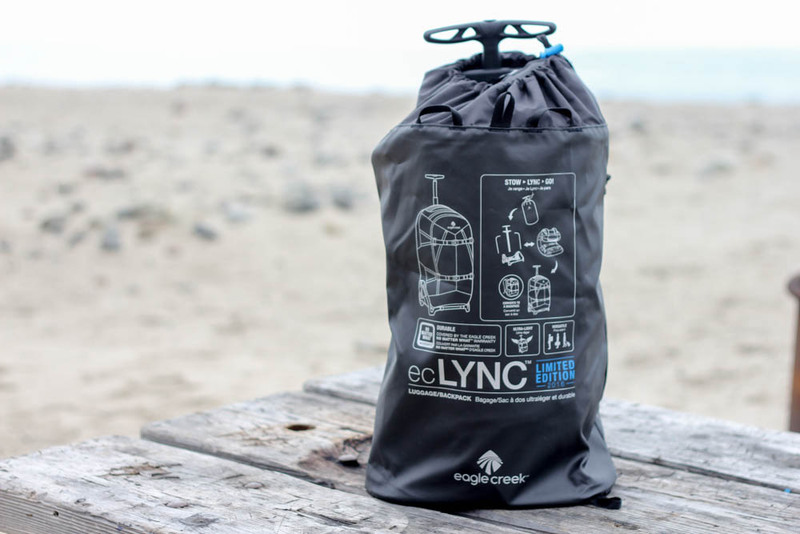 The Eagle Creek EC Lync Carry-On pack satisfies all those categories, and more. 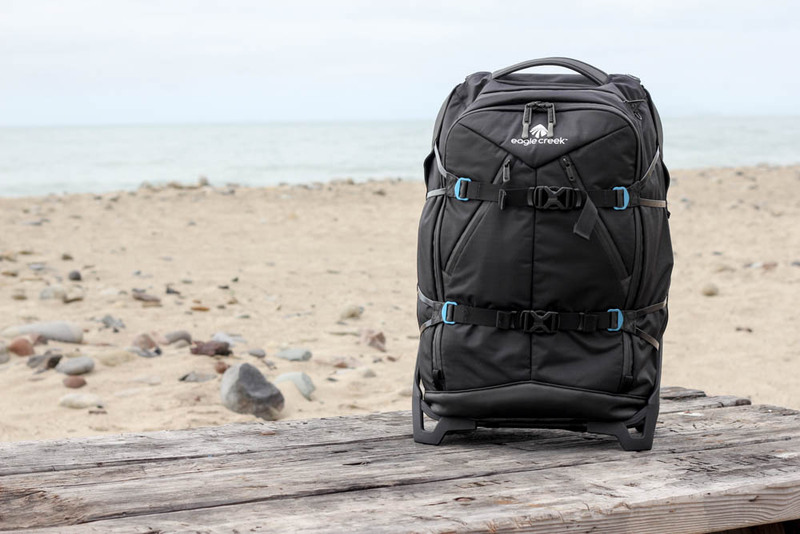 Eagle Creek has long been known for adventure travel luggage. From traditional suitcases to durable duffels, its bags are meant to be used and abused. 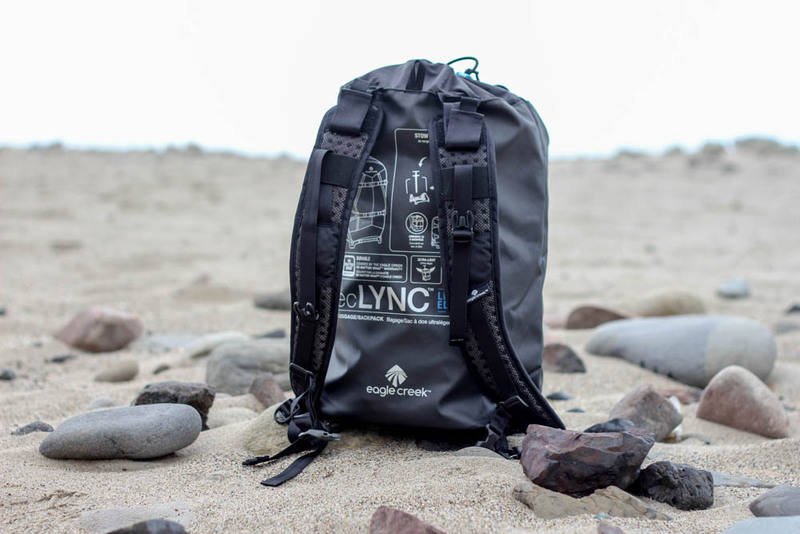 We got our hands on the company’s new 43-liter EC Lync “Limited Edition” Carry-On bag ($350), a convertible backpack/roller bag that is fit for most weekend warrior adventures. The bag is unique in having a modular design; it works as a roller bag, backpack, or both, and has removable parts so you only bring what you need. While quite expensive for its size, it does work as three products in one. I’ve spent trips rolling suitcases through airports only to have them fail me when the roads turn rough, leaving me dragging them awkwardly. Similarly, shouldering a full hiking backpack can be an awkward proposition and they often don’t fit in overhead bins on an airplane. The EC Lynch is the best of both worlds, equipped with wheels and an extendable handle it can be rolled effortlessly through an airport and then just as easily slung on your back when needed. Plus, as the name eludes, the bag is sized for most domestic carry-on dimensions. The real magic of the Lync though is its ability to completely disassemble and fit into a small tote bag. The bag’s metal frame, extendable handle, and pack snap apart in a few short movements and can easily be stowed away when not in use. The backpack is made of three pieces; the metal frame, handle, and backpack. The genius of this system is that it allows you to use the backpack separately from the rest of the frame. 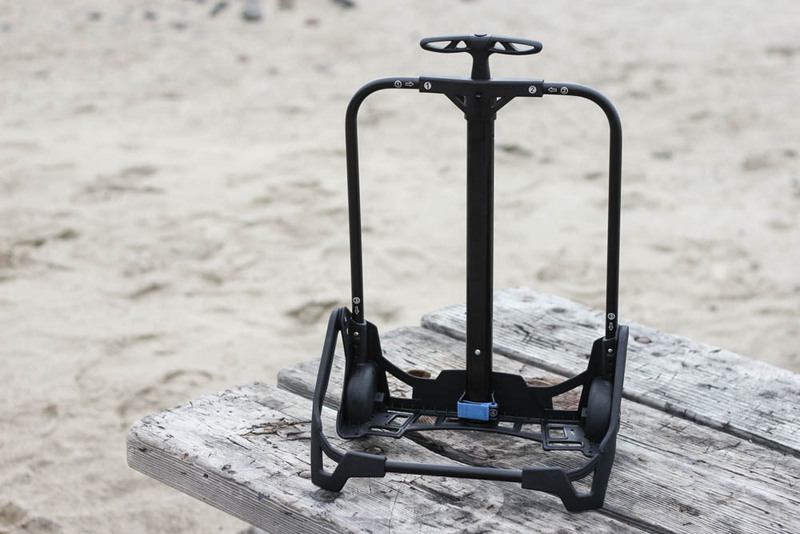 Going on a day hike and don’t want to haul around the frame and handle? No problem. Just undo a few buckles and the bag slides off the frame giving you a simple pack. Similarly, the backpack straps can be removed and stowed in a back pocket if you just want to use the bag as a roller. They can also attach to the tote bag to use as a beach bag or something similar. The frame is made from a heavy plastic and the wheels, although plastic, are large and have tread, a handy feature when I rolled it through mud or a gravel parking lot. Although the frame itself feels a little flimsy, we put it through several rigorous tests. Our minds were put at ease after the bag survived a 10-foot drop from a roof and having 250 pounds of human jumping up and down on it. We also pulled the bag behind a car via the handle to see how the wheels held up and despite getting a little nicked up on the pavement, everything held together nicely. 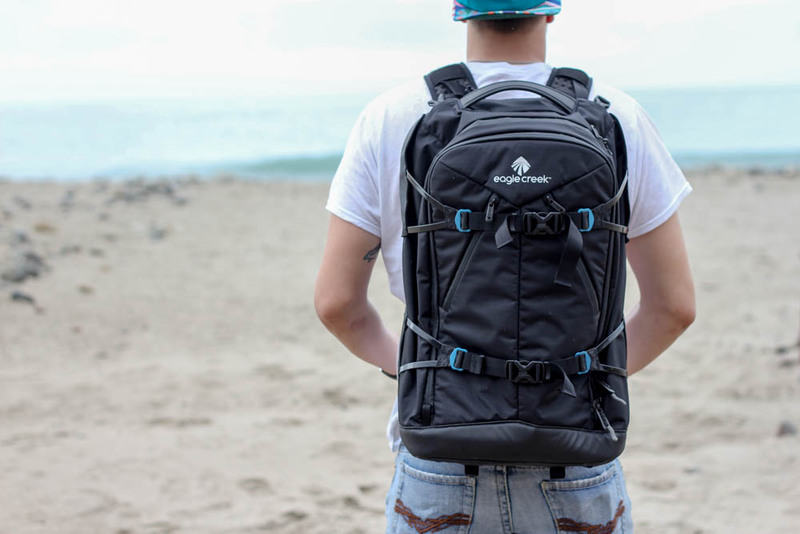 One note: The backpack isn’t a technical pack. If you’re going out for a day hike, it should do you fine. It does have a sternum strap, though it doesn’t come with any hip support. Don’t think you’re going to take this into the backcountry. 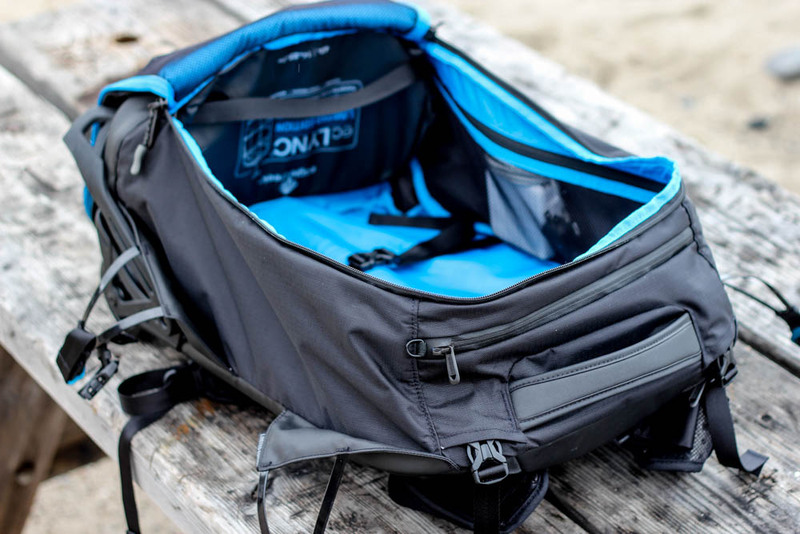 The bag has many pockets, with a large main compartment, two internal side zip pockets, two diagonal front pockets, and a large stash pocket on the top of the bag. A bright blue interior makes it easy to see what you’re grabbing for, even in low light. Compression straps in the main compartment make it easy to strap down big loads. The front buckles are nice and allow you to synch down the bag. The straps on the side also allow you to secure a jacket, tripod, or hiking poles. The bag packs well, especially when used with Eagle Creek’s Pack-it cubes. I was able to fit a weeks worth of clothing, smaller gear odds and ends, and a computer without much trouble. Even when I overstuffed the bag, it was easy enough to use the external compression straps to cinch everything down. The major downside I saw to this bag was a lack of computer sleeve. You might be able to fit a 13-inch laptop in the back pocket, but my 15-inch MacBook was way too big. This bag is meant for the traveler looking for something light and versatile. Eagle Creek does offer the bag in a few larger sizes, but the “Limited Edition” that we tested only comes in a 43-liter variety. With a $350 price tag, it is expensive luggage. But at least with Eagle Creek’s “No Matter What” warranty, you can rest safe knowing that if you do manage to destroy it somehow, the company will stand behind the product.